Are you wondering how Facebook’s short-form video format could help your business? Facebook Stories brings a new video format to Facebook that closely resembles Instagram Stories. In this article, you’ll discover what you need to know to succeed with Facebook Stories. 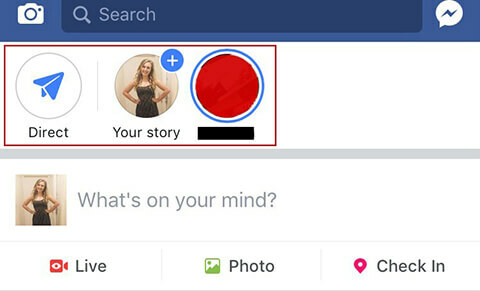 Facebook Stories sits at the top of your mobile news feed and has two distinct parts: Direct and Stories. You’ll find Direct at the top left-hand side of your news feed and you can access it by tapping the paper airplane icon. Direct is a new private messaging feature linked with Stories, and it allows you to view any story images or videos sent to you directly. You can also see any replies to your own stories. 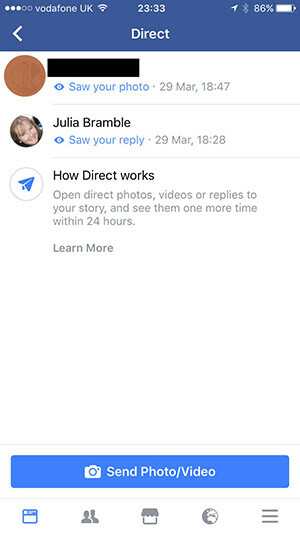 Remember, Direct is a separate feature from Messenger, and unlike Messenger, you can only start a conversation with a story image or video, not with text. 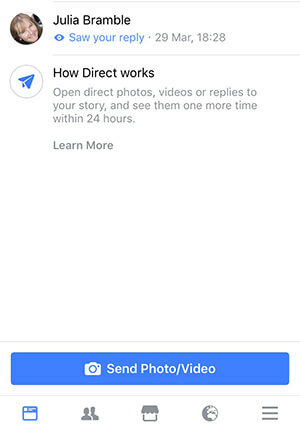 Accessing Facebook Stories and the Direct inbox. 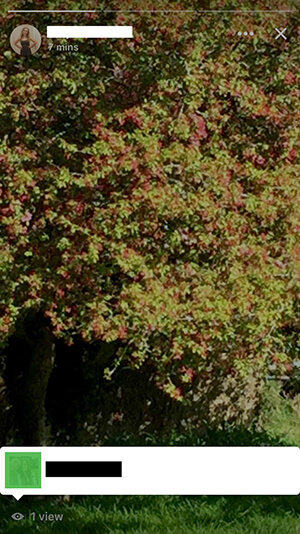 An example of a Facebook story image. You can respond by typing a reply at the bottom of the screen. How to reply to a Facebook story. This reply will be visible only to the person who sent the story but it’s wise to remember he or she could take a screen grab and share it! Facebook story content can only be seen once. Note also that the story creator will be able to see who’s viewed his or her story! If you want to see all of someone’s story quickly or jump to a specific element, simply tap at the top to skim the content. If you want to skip to the next friend’s story, then swipe across the top instead. Creating a story requires taking either an image or a video, or using content you have stored on your phone. If you have no current story on display and want to begin one, look for the circle that appears at the top of the news feed (Your Story) with a ‘+’ icon beside it. You’ll be able to access the Facebook camera by tapping on it. Creating your first Facebook story. To add more images or videos to one of your existing stories, you’ll need to access the camera by either swiping right from the news feed or by clicking on the Direct icon and then clicking the blue box that says Send Photo/ Video at the bottom. Accessing the Facebook camera from the Direct inbox. 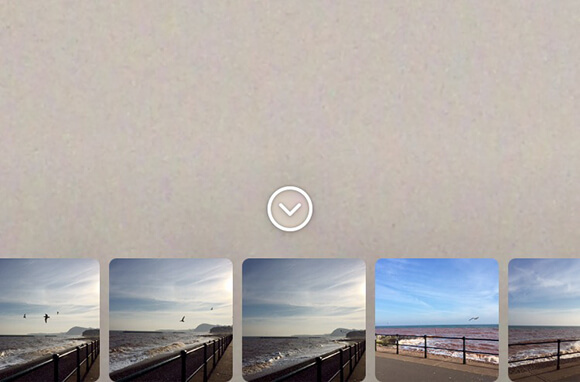 The Facebook camera screen controls. 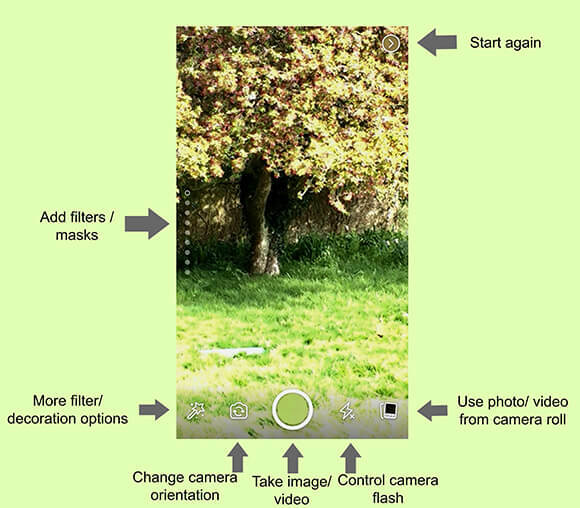 As you can see, the control options all look familiar except the filter and/or mask options you can use to decorate your images or videos. More about these features in a minute. 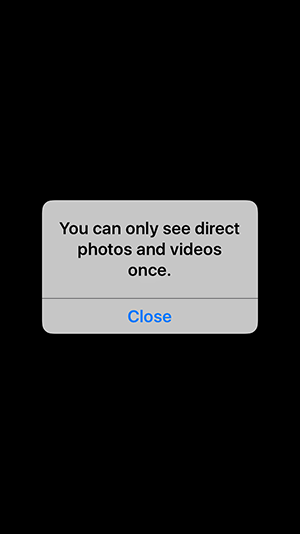 For now, you can take a photo by tapping the button in the middle at the bottom, take a video (up to 40 seconds long) by holding the button down, or choose an image or video already stored on your camera roll. Unlike Instagram Stories, this choice isn’t restricted to images taken in the last 24 hours only. Choosing an image from your camera roll for your story. The next step in creating your Facebook story. 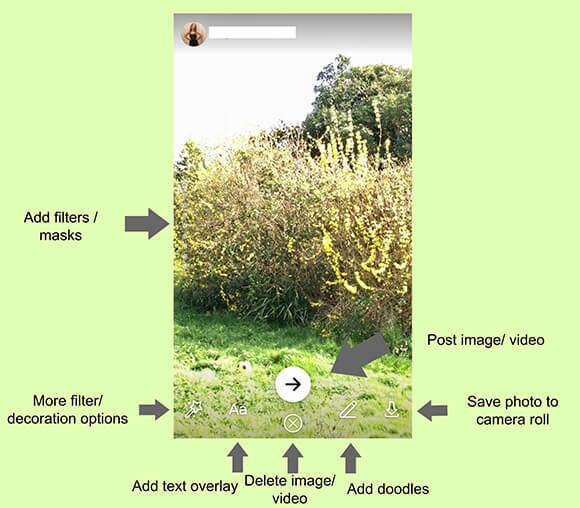 At this stage, you can choose to delete the image or video or add filters, masks, and/or text or doodles either before or after taking your image or video. You can even layer one on top of another. You can also save the image or video to your camera roll before or after adding extra decorations. 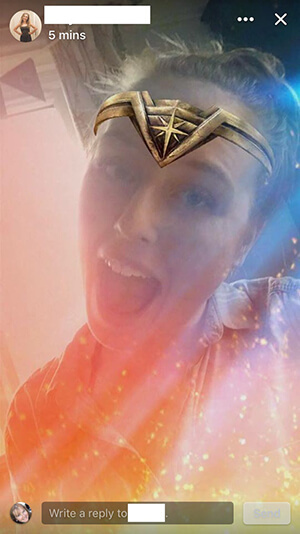 Unlike Instagram Stories, Facebook Stories offers a huge array of effects to add extra impact to your images or videos: from full-screen artist-inspired filters to more specific overlays (some of which are licensed from movie studios), selfie lenses to color-reactive masks, and interactive overlays that respond to the number of people in the photo. 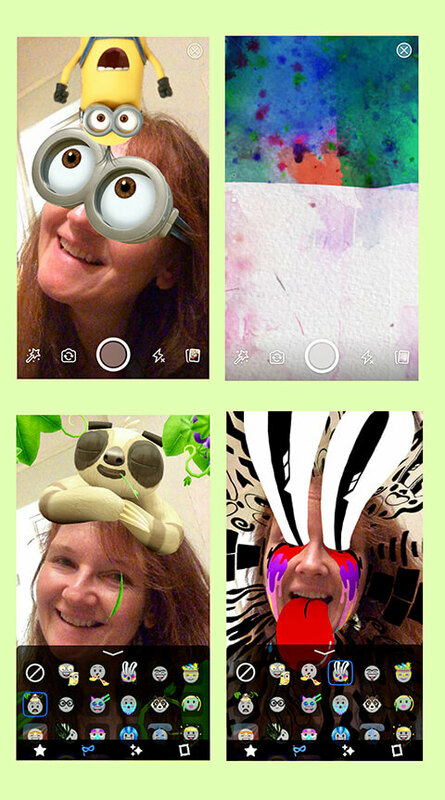 Examples of Facebook Stories filters, overlays, and masks. Add doodles with either a paintbrush or pen effect and plain text overlay. There really is no end to the creative fun! Adding hand-drawn doodles to a Facebook story image already overlaid with two filters. 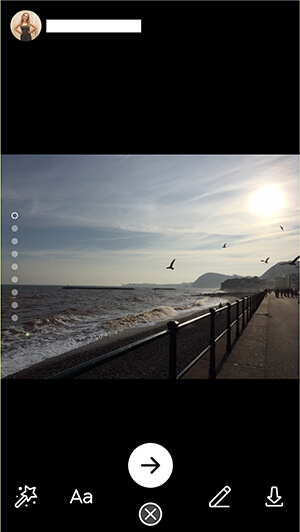 When you’re happy with the look of your image or video, you can post it by tapping the arrow icon. You have the option to post it either to your mobile timeline, directly to one or more friends, or to your story. Choosing where to post your Facebook story content. After you’ve added one element of your story, you can go on to add more story elements until you’ve shared everything you want to. 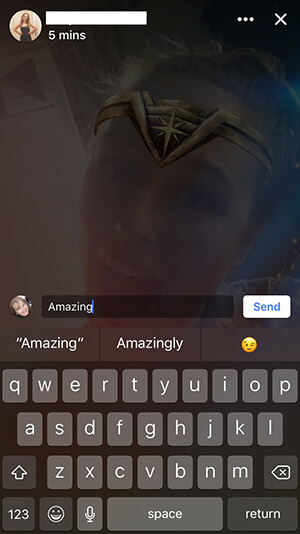 Once you’ve posted videos or images to your story, you’ll be able to access them by tapping the first circle at the top of your news feed that’s labeled Your Story. As each segment is displayed, there are three dots visible at the top. Accessing each element of your Facebook story. 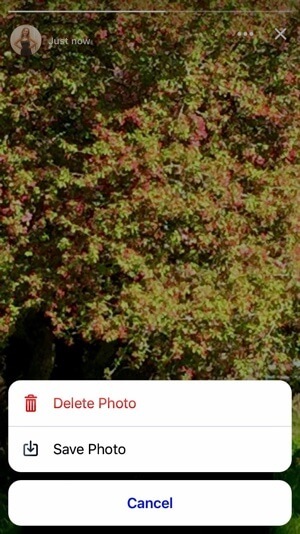 If you tap the three dots on an image or video, you’ll find that you can delete each element of your story individually or save it to your camera roll. How to delete an image or video from your Facebook story. Analytics in Facebook Stories is pretty straightforward. As you click through each element of the story as described above, look beside the eye icon at the bottom of the screen to see a viewer count. Reviewing who’s watched your story, segment by segment. If you tap on the icon, you’ll be able to see who the viewers were. Discovering who’s watched your Facebook story. If you want to keep a record of your analytics, taking a screenshot at the end of each day is an easy way to track how many people viewed each segment of each story. From this information, you’ll be able to quickly see which images and videos were the most viewed, and similarly, which caused viewers to tap away. When someone replies to your story, you’ll see the reply in your Direct inbox (not in Messenger or your general Facebook notifications), so you’ll need to remember to check this new inbox regularly. Viewing your replies in the Direct inbox. You can reply to someone’s response by typing on your original image above his or her reply. Replying to a response to your story. When using Facebook Stories for marketing, the most important consideration is that only those people connected to you as Facebook friends will see your stories. Stories aren’t available (yet) for business pages, and they aren’t visible to people who follow you but aren’t your friends. So to take advantage of this new opportunity for marketing your business, your Facebook friends list will need to include those you want to attract and interact with as a business. This may not be comfortable for you if you only want to use Facebook to connect with friends and family. In this case, remember that you can choose with whom you share your general Facebook posts every time you publish so you can separate updates for family and/or close friends from more general updates if you wish. 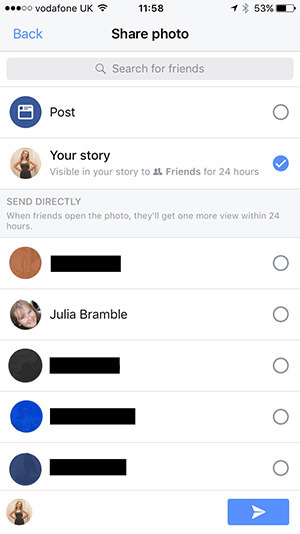 Currently, you can’t choose to only show your Facebook stories to certain groups of people or to exclude some from the audience. If you’re going to use stories to talk about business, be prepared for the fact that Auntie Mabel might be watching! As Facebook currently limits friends to 5,000, marketers will have to think creatively about using Facebook Stories as a marketing tool. It may be that you decide to use stories as a way to build relationships with experts or influencers in your industry who could open doors for you. A great way to kick this off would be to respond to their stories. Another approach would be to use Facebook Stories as a way of engaging potential collaborators or demonstrating thought leadership or speaking skills as a way to maximize the return from a fairly restricted audience. You could also approach Facebook Stories as a way of ‘sowing the seeds’ of awareness about your business with a community of advocates who would then refer you to their friends and networks. If you’re going to go all-out for Facebook Stories, you might need to adopt a new strategy for connecting with business-related friends on Facebook. One way to build up an audience of friends who are interested in what you offer as a business is to be active in relevant Facebook groups. When people see you offering help, advice, and support in a friendly way, they’re likely to check out your profile and maybe send you a friend request. Equally, you could offer to take a discussion to private message, which is most easily done once you’re connected as friends. So now that you know how to use Facebook Stories and you’re clear on whom your audience is, here are six story ideas you can use to grow your business. This is perhaps the most obvious use for Facebook Stories: share more of your life as an individual businessperson or small business. Allowing people a sneak peek into your day will make them feel special, especially if you make it obvious that you don’t share this anywhere else. For example, take your audience with you when you attend or speak at events, or show them what your staff does every day and how talented and friendly they are. 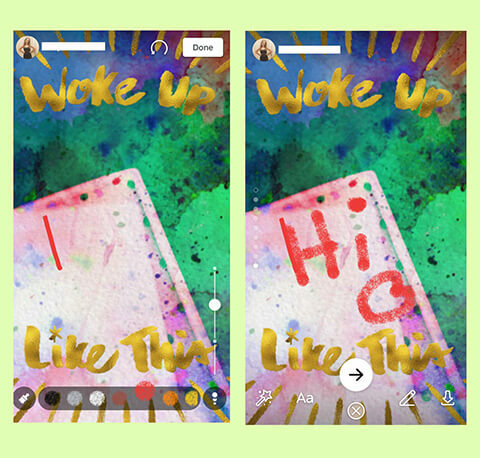 You can use Facebook Stories to share tips and short how-tos as a series of images with text overlay and/or videos. These work well for giving your audience extra value and positioning you as an expert. You could even develop a schedule of different themes for each day of the week. To encourage engagement, ask people to reply and tell you which tips they found most helpful. To tease bigger pieces of content, share only small snippets of what you included in a recent blog post, video, vlog, or live stream. Be sure to include a call to action to direct your viewers to your larger content piece. If appropriate (given that your audience is your Facebook friends), Facebook Stories could be a great way to unveil exclusive offers only for people who see your story. To build an audience of potential customers as Facebook friends, let your friends know you release limited offers via stories to encourage those connections. Showcasing your customers and their images or videos (with their permission, of course) in your Facebook stories could be a fantastic way to make your customers feel valued, encourage engagement, and subtly provide social proof of your goods or services. You could ask for opinions on ideas for a new product or service, for example, or find out how your audience feels about your industry. Or maybe you want to find out more about them and their lifestyle. 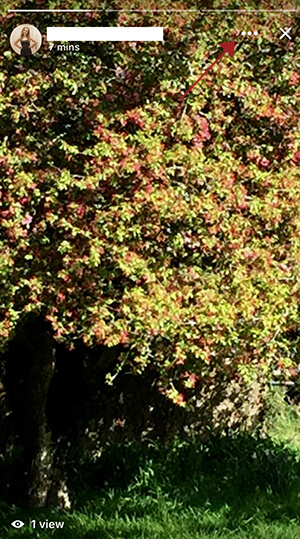 Ask questions requiring quick one- or two-word answers and you should see good engagement (in the form of direct replies). The fact that replies are private might encourage more people to speak up than in more open formats such as Facebook groups. Facebook Stories gives you a way to deliver time-sensitive content to your personal Facebook network. Use the insights and tactics in this article to leverage this newest Facebook feature to your advantage by creating specialized engaging content that promotes you and your business.